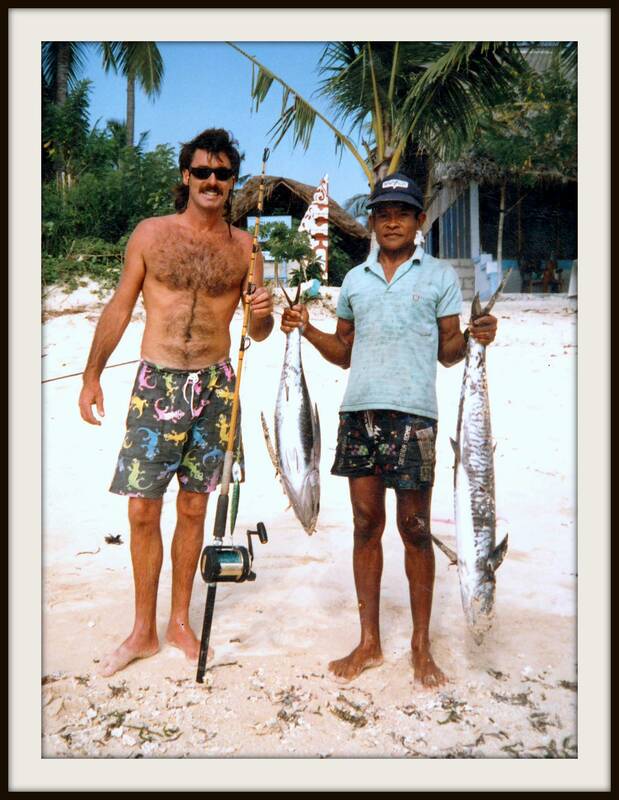 It’s a long story why Brian started catching Wobbegong sharks. We’ll try and explain the reasons eventually. The rock dwelling species would be caught on a set-line then speared to enable the toothy shark to be boated. The location here are the rocks at Sugarloaf Point. 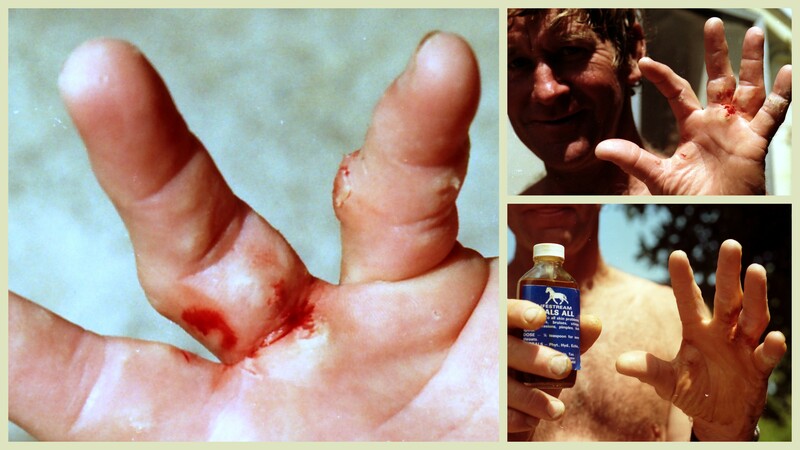 A small shark gave Mauri Lee a bite – if untreated a serious infection could result. A herbal mixture healed the injury within three days. Future fish and chips. 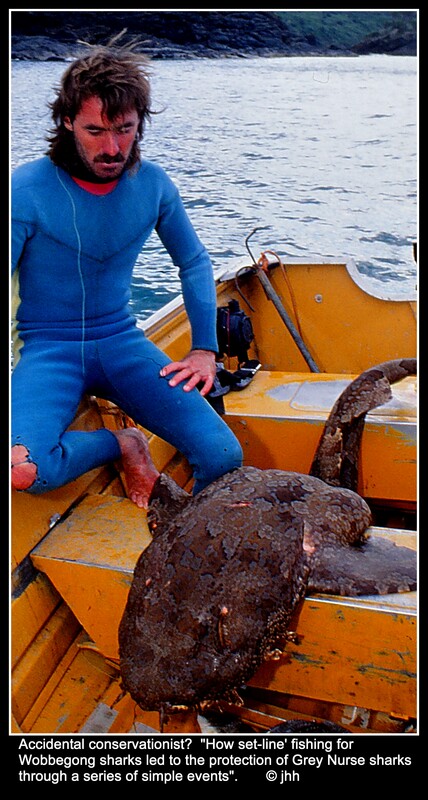 Wobbegong sharks were almost ‘B’ grade ‘fish’ and well above the quality of ‘flake’ that is the popular shark fillets in Victoria. “Greetings from Bali” wrote Brian Davies. 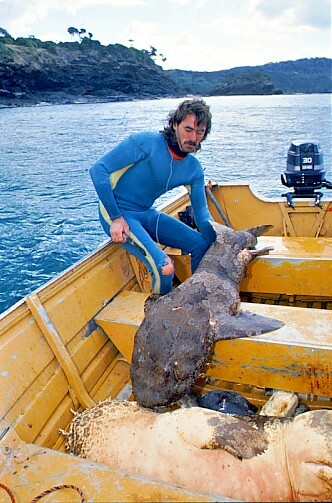 Large bull shark caught offshore and destined to become seafood.